Published today in the open-access journal GigaScience, is an article that presents the genome sequence of Ginkgo biloba, the oldest extant tree species. The research was carried out by a team of scientists at BGI, Zheijiang University and the Chinese Academy of Sciences, who tackled and analyzed an exceptionally large genome, totalling more than 10 billion DNA "letters". Ginkgo is considered a "living fossil", meaning its form and structure have changed very little in the 270 million years since it first came into existence. Given its longevity as a species and unique position in the evolutionary tree of life, the ginkgo genome will provide an extensive resource for studies concerning plant defenses against insects and pathogens, and research investigating early events in tree evolution and in evolution overall. To study the ginkgo's extraordinary biology at a genetic and molecular level, sequencing its genome was high up on the wish list of plant biologists. However, because of its size as well as the presence of an enormous number of repeat sequences, assembling the whole genome sequence would be a difficult task. The ginkgo genome stretches over more than 10 Gb, which is 80 times larger than the "model plant" Arabidopsis thaliana genome. The tree's genome is also larger than other plant species known for extremely big genomes, such as maize or orchids. The great interest in the history and biology of gingko, however, made the work of sequencing and assembling the genome a challenge the researchers from China felt worth taking, and one they succeeded in accomplishing. Researchers are also fascinated by the ginkgo's resilience under adverse conditions— it is worth noting that ginkgo trees were one of the few living things to survive the blast of the atomic bombing of Hiroshima. 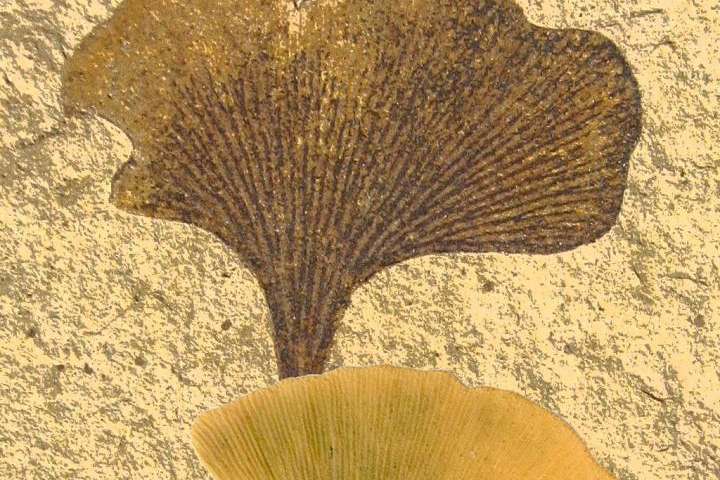 This hardiness likely helped the ginkgo survive periods of glaciation in China that killed many other species, and may also promote the longevity of individual trees, some living up to several thousand years, according to reports. The ginkgo is also able to defend itself against a wide range of attackers, employing an arsenal of chemical weapons against insects, bacteria and fungi. To better understand the ginkgo's defensive systems, the authors analysed the repertoire of genes present in the genome that are known to play a role in fending off attackers. An initial analysis of the tree's more than 40,000 predicted genes showed extensive expansion of gene families that provide for a variety of defensive mechanisms. Genes that enable resistance against pathogens are often duplicated. Additionally, ginkgo has a double-knockout punch in its fight against insects by synthesizing chemicals that directly fight insects and by releasing volatile organic compounds that specifically attract enemies of plant-eating insects. These findings indicated that having multiple mechanisms—the expansion of gene families, higher doses of specific genes, and versatility in its defence genes—might be linked to the ginkgo's extraordinary resilience. This information may then be useful to aid in understanding plant defence system with an eye to improving food security.